Welcome to Reynolds Motor Company! 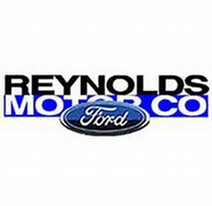 Reynolds Motor Company is the #1 Ford Dealer in the Quad Cities Area, located in East Moline, IL. Since inception, Reynolds Motor Company has been dedicated to providing the highest quality automobiles along with superior service and maintenance. Reynolds Motor Co. started as a vision in the mid 1920&apos;s by the original founder Erdin Reynolds. After working for a Ford dealership in both sales and management for several years, Mr. Reynolds decided he wanted a dealership of his own and in 1930 his vision was realized and Reynolds Ford was in operation in East Moline. Ever since, the company has been growing and expanding. We are proud to continue our family owned tradition, now in our third generation. Stop in today to see why we are the #1 Ford Dealer in the Quad Cities!